Make the transition from bedroom DJ to the club. 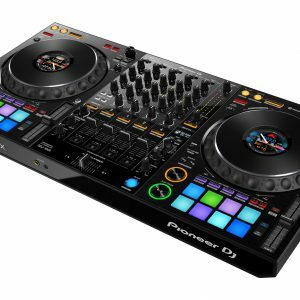 The all-new Pioneer XDJ-RR rekordbox Controller is an all-in-one DJ system for rekordbox, with a lightweight, portable design that’s ready to improve your DJ skills and get you club-ready. 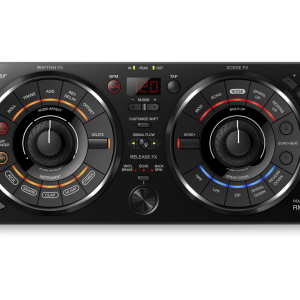 Its club-standard NXS2 layout puts all the professional controls at your fingertips so you can practise whenever you need to. Manage your music with or without a laptop. 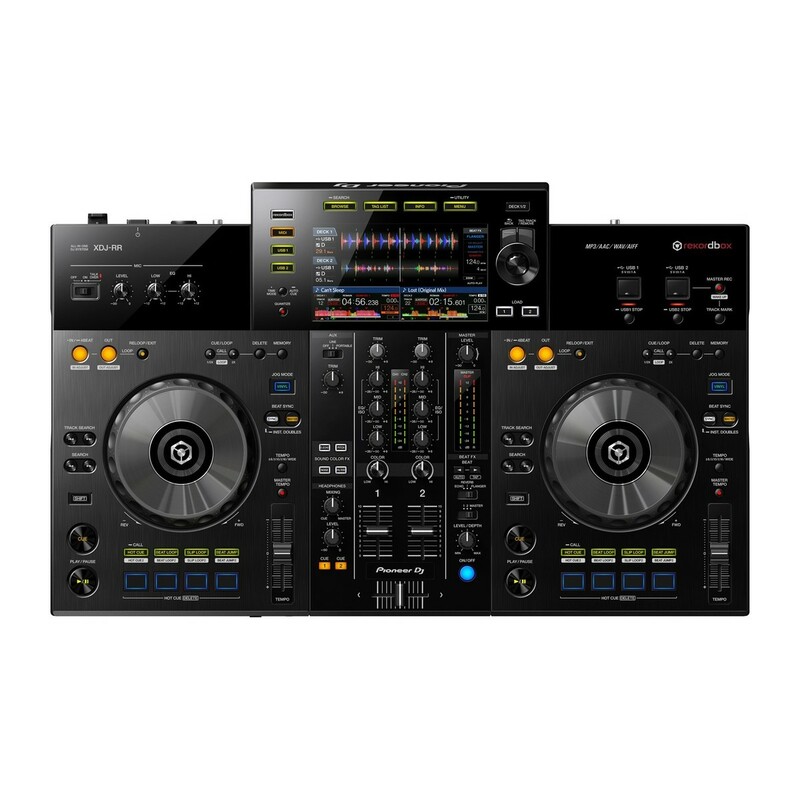 The XDJ-RR comes with rekordbox, allowing you to organise your music. There’s two USB ports so you won’t need to bring your laptop every time. Take the stage and create unique mixes with professional FX, beatjump, remix pads, and more. Practise for the professional gear. The Pioneer XDJ-RR inherits its layout from the club-standard CDJ-2000NXS2 and DJM-900NXS2 mixer, meaning you can practise at home so you’re ready from the club-standard gear, or for when you need to take a familiar piece of kit with you to parties or bars. You’ll find the same screen, along with the same deck layout, and FX controls. 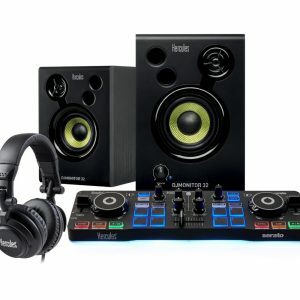 It has the same style tempo, loop beat, sync, and cue-play buttons. Whether you’re using the XDJ-RR for a party, or the NXS2 for the club, you’ll always be familiar with the gear. You can play your tunes with or without your laptop. It’ll connect easily to your laptop through USB so you can play your tracks in your rekordbox library without having to export them to a USB drive. On the other hand, if you don’t like to bring your laptop out, you can also plug your USB directly into the controller. Your tracks and playlists can be linked from rekordbox, allowing you to navigate with the screen. The screen provides everything you need from waveforms, BPM, playback position, and track listing. With dual USBs too, b2b performances will be a breeze. 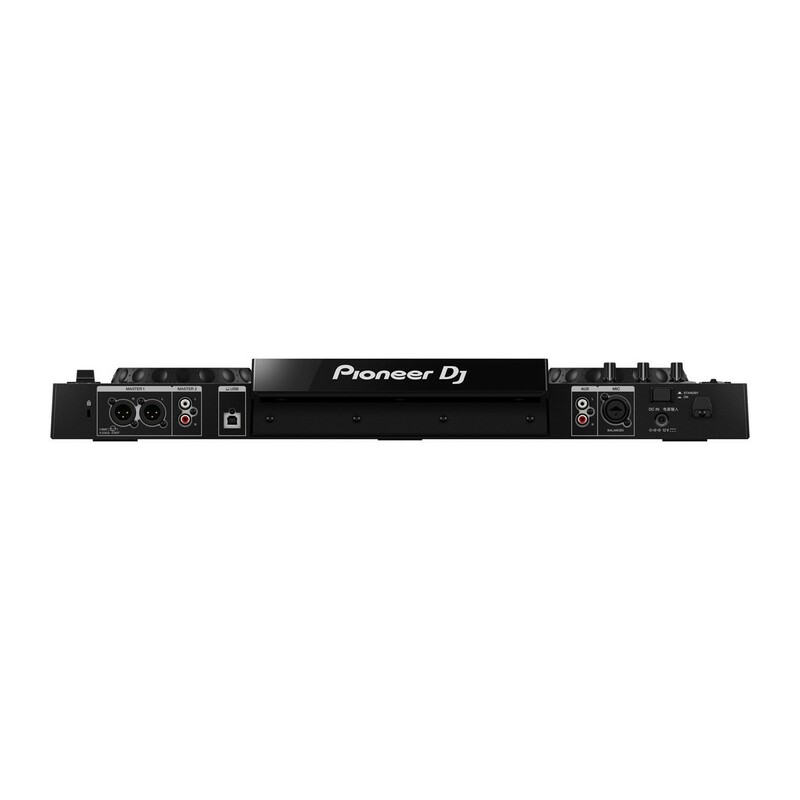 You can also connect it straight to a club’s speaker system using the XLR and RCA outputs on the back. Become a unique performer. Gone are the days of mixing track end to track beginning. Why not remix and edit tracks on the fly? 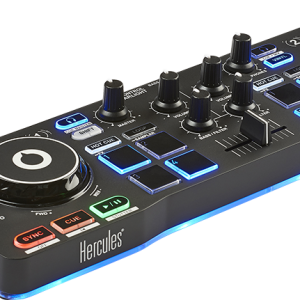 You’ll be able to remix tracks and juggle hot cues, loop sections, and beatjump using the onboard controls. By using quantize, you can jump through the different beats of tracks, all in time. You’ll hardly notice it changing. The beat loop feature lets you loop a section of a track, and the DJ controller will automatically set the loop-out point based on the BPM. Chop up loops on the fly and edit length too. Another neat trick the XDJ-RR is the ability to keep the track playing silently in the background. This lets you loop parts, or scratch over the top, and when you’re ready, you can bring the track back in at exactly the right place. Spice up your sets with professional Pioneer FX. 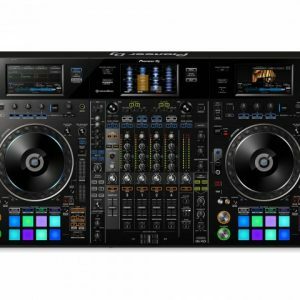 You’ll find a few of the same beat and sound colour FX from the professional DJM-900NXS2 on the XDJ-RR. Excite the crowd with buildups by adding echo, delay, reverb, filter, noise, dub echo, and also pitch. Organise your music with professional software. Rekordbox is a staple for most popular DJs. It’s easy to use and allows you to organise your music clearly into playlists, add cue points into tracks, and more. 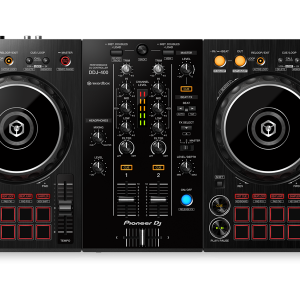 Get your music ready with rekordbox, and you’ll be ready to plug into any club-standard set up.